Are you looking for a new opportunity in Manchester? Do you want a job with benefits and the potential for long-term employment after 30 days? Luttrell Staffing Group in McMinnville is now hiring for Assembly | Large Assembly | Small Assembly positions! 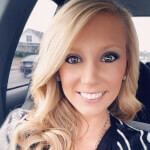 Misty is a Staffing Coordinator at Luttrell Staffing Group-McMinnville. Before coming to us, she previously worked for over 9 years in management. If you're looking for a job in the McMinnville or surrounding areas, give her a call today at (931) 507-2300.